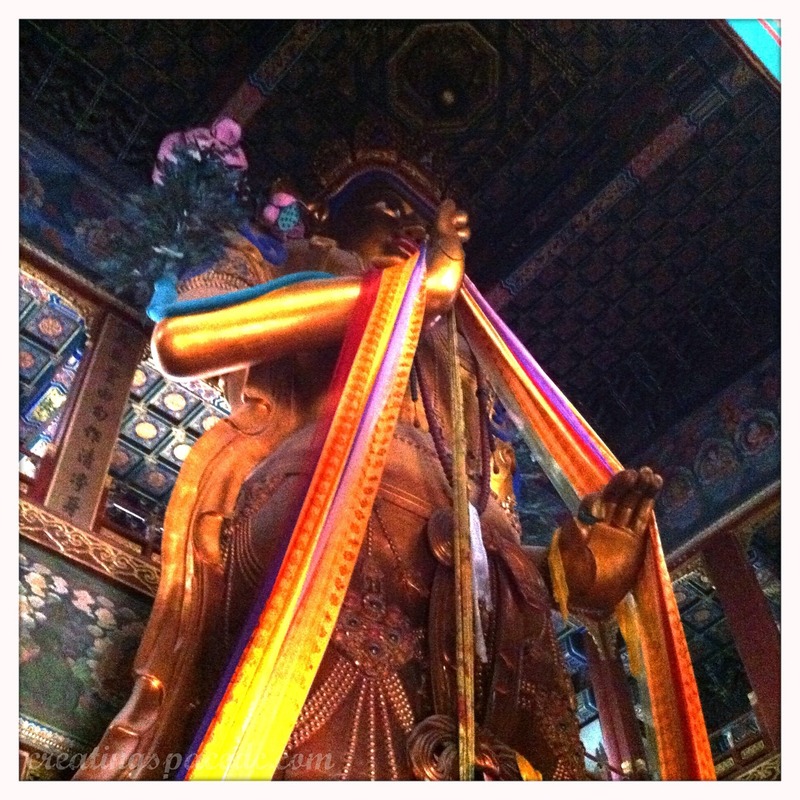 I won’t lie to you, when I was told that the Lama Temple housed the tallest Buddha in the world I was expecting to find an ancient wooden statue that was quite tall, but not much more spectacular than that. Boy was I mistaken. 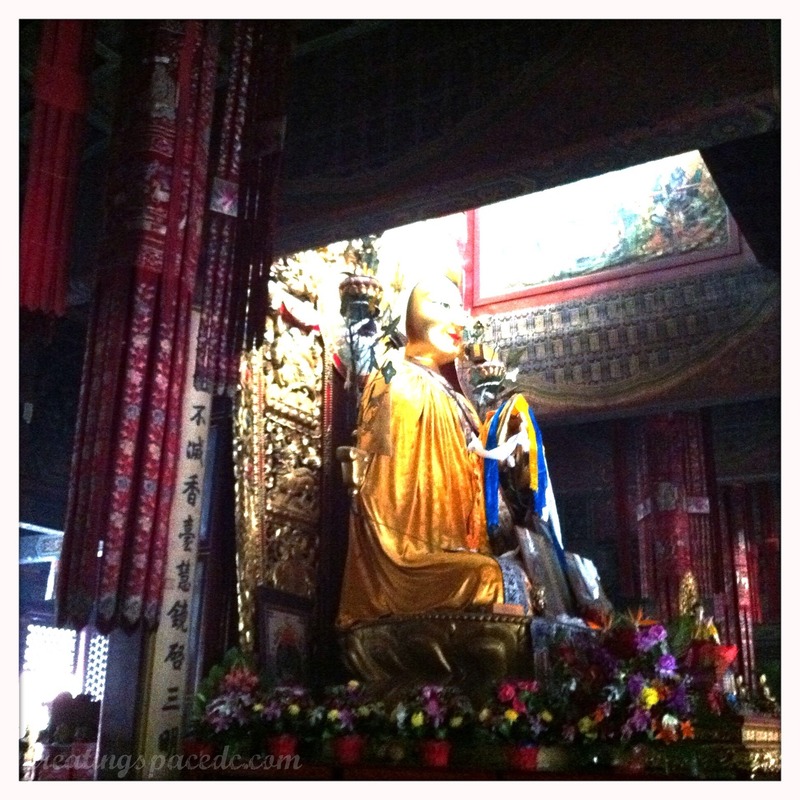 The tallest Buddha in the world is not only impressive in its height, but in its craftsmanship as well. The attention to detail and the colorful accents took me completely by surprise. but I’m getting ahead of myself. Let’s go back a little bit. So we’ve just left the the Confucius Temple and continue to stroll down the streets, eventually deciding to begin our way back towards the Lama Temple. Our tickets came with a small disc, presumably to take home as a souvenir with pictures and things in it of the Lama Temple (this was in fact the case as we tried it out once we got home, unfortunately the videos are spoken in chinese with chinese subtitles so I have no idea what going on except that the slideshow of temple images would indicate that they are in fact speaking about the Lama Temple). 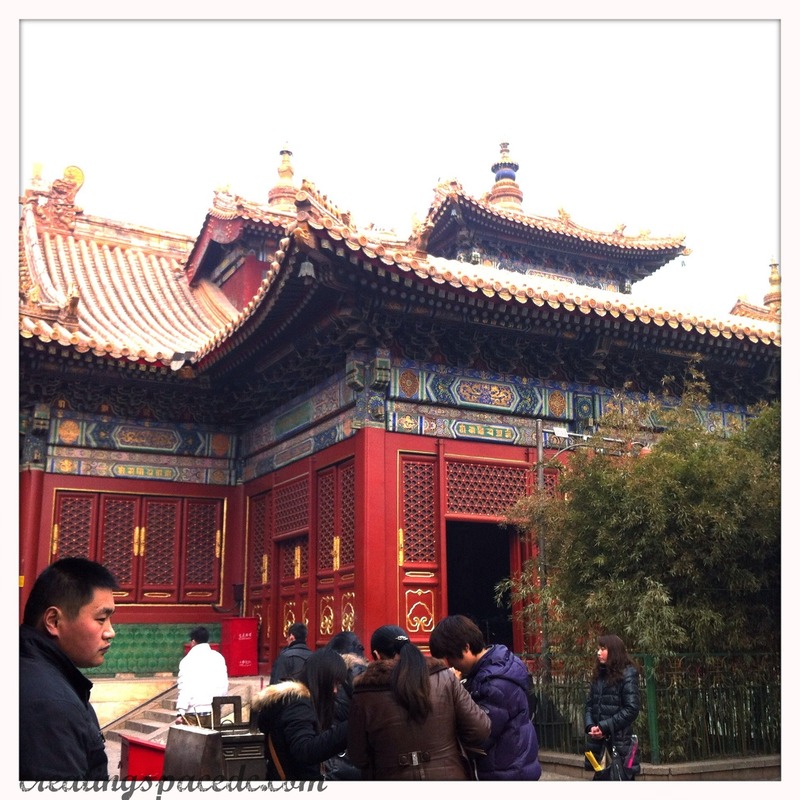 As we entered the gates, I was aware of the complete 180 from the Confucius temple. This complex was alive with the sounds of chatter and prayer. 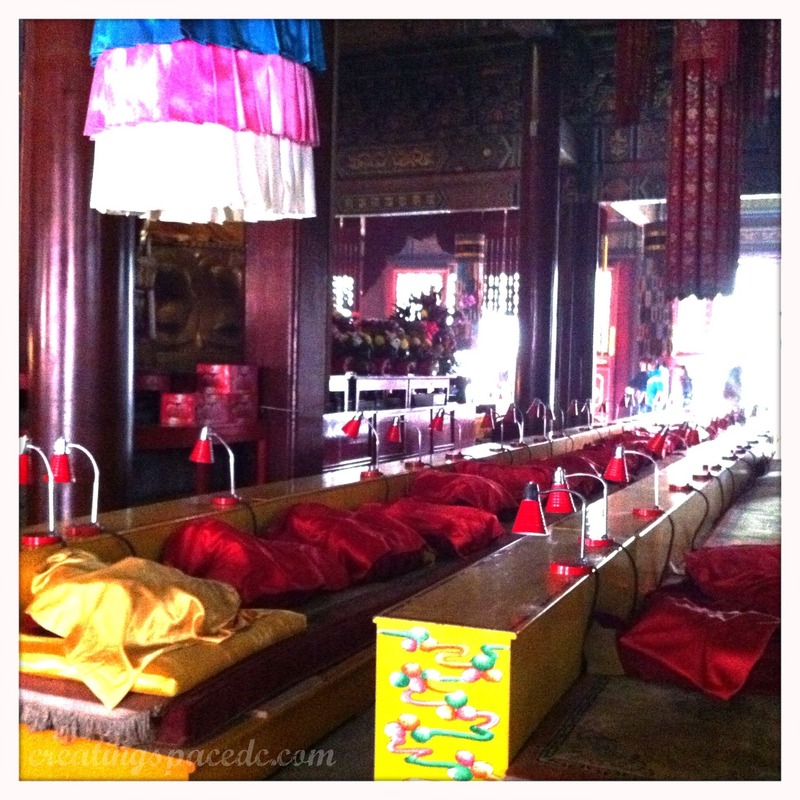 The complex itself has many smaller temples where offerings may be made to The Buddha. There were signs everywhere stating that the offering to Buddha was the burning of 3 sticks of incense. In from of every building a fire blazed for the lighting of the incense. each temple housed statues of Buddha, some small, some large, some with only one, others with many. 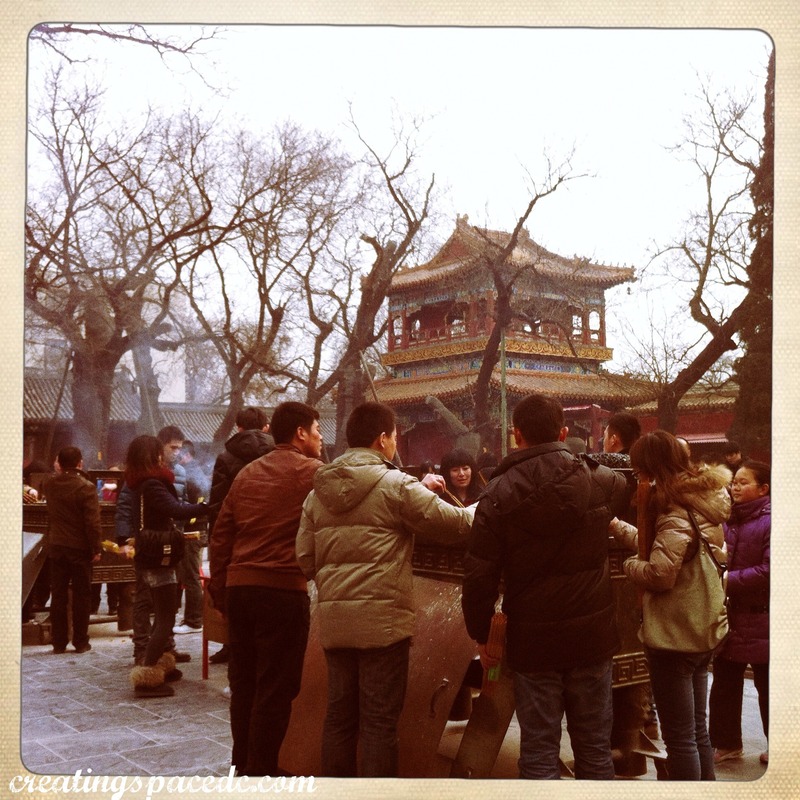 Another fun fact about the Lama Temple is it is home to practicing Lamas. We saw a few milling about the complex while we were there. This is where they practice, debate, and study. At each building crowds were giving their offerings to Buddha, it was really interesting to watch. As I stepped into each building, and witnessed these acts of spiritual honoring, I became acutely aware of my lack of offering. Although I’ve never been one to hop on the spiritual bandwagon simply because I’m witness to it’s practices, instead I take my one moment with it and appreciate what it means to others. So I watched and thought about what this place means to so many people. If I had found myself in a Catholic Church I would probably be taking part in a few of the rituals much like these people where doing within this sacred space.